“We have a big 2017 year class of fish at C.J. Strike, and they are just starting to grow to a size that anglers can catch them,” Idaho Fish and Game biologist Mike Peterson said. Congratulations to Matt Wilcox of Ketchum on landing the newest catch-and-release state record White Crappie! He managed to land this 14.25" beauty while fishing CJ Strike Reservoir in early May. 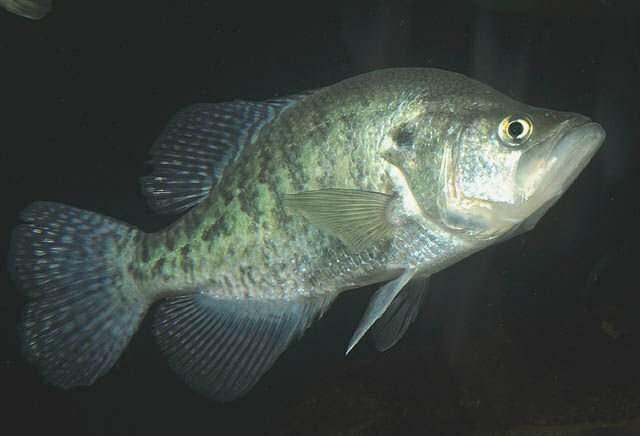 April through June are typically the best months for finding crappie throughout southwest and northern Idaho. Watch for them to move up into shallow waters to spawn as the water temperatures get into the mid-60’s. Idaho has a new catch and release state record white crappie. On April 9th, Angela Padley landed the 12.5 inch crappie while fishing the Snake River below CJ Strike Dam.